The complaint alleges illegal detainment and unreasonable search and seizure motivated by racial bias. On Wednesday in San Francisco, a federal civil rights lawsuit was filed by four plaintiffs against the San Francisco Police Department and seven individual officers alleging illegal detainment and unreasonable search and seizure motivated by racial bias. The complaint regards an incident that occurred in March in San Francisco's Bayview neighborhood during the filming of a music video. 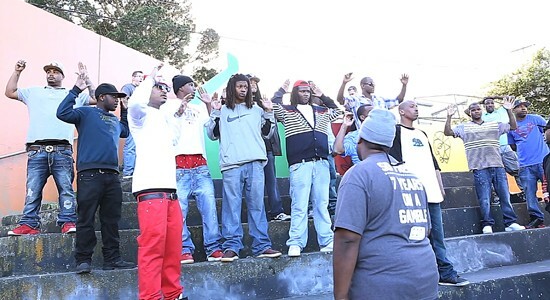 In March, plaintiff Brian MacArthur was shooting a music video for plaintiff Arthur Stern, who raps as Yung Lott, when police officers suddenly appeared and demanded that the nineteen individuals present on set put their hands up and get on their knees. Uniformed and plainclothes officers then proceeded to handcuff, photograph, and confiscate the personal possessions of all present. The incident was captured on video and widely circulated on YouTube. It wasn't clear from the recording what probable cause SFPD had to detain the individuals. Later, an SFPD spokesman said that officers observed an armed man, identified as Taj Williams, approach the music video set, which precipitated the mass detention. It was clear from the video that the individuals were detained for longer than one minute, contradicting SFPD's initial reports. Further, the complaint alleges that officers recklessly allowed an armed man to enter the set in a willful effort to create a scenario in which they could intervene. When officers did surround the group, the complaint goes on, they did not identify themselves. "By doing so," the complaint reads, "the above-named SFPD officers created a scenario where if these young African-American men had moved out of innocent fear, the SFPD officers would have gunned down the entire group." As the complaint asserts, "SFPD officers would not have allowed a perpetrator that they perceived to be armed with a loaded handgun to enter a group of innocent white civilians (for instance, executives at a Google convention)." The other two plaintiffs are Joseph McGowan, who raps Joeski, and Dante Andry, who were both present at the music video shoot. The complaint, which demands a jury trial and punitive damages, arrives in the wake of revelations about virulently racist, homophobic, and bigoted messages exchanged between SFPD officers. A recent report by the Express detailed the local authorities efforts to criminalize rap.